Of all the possible things that can go wrong with a residential irrigation system in Florida, those associated with sprinkler heads are the easiest to spot by property owners. 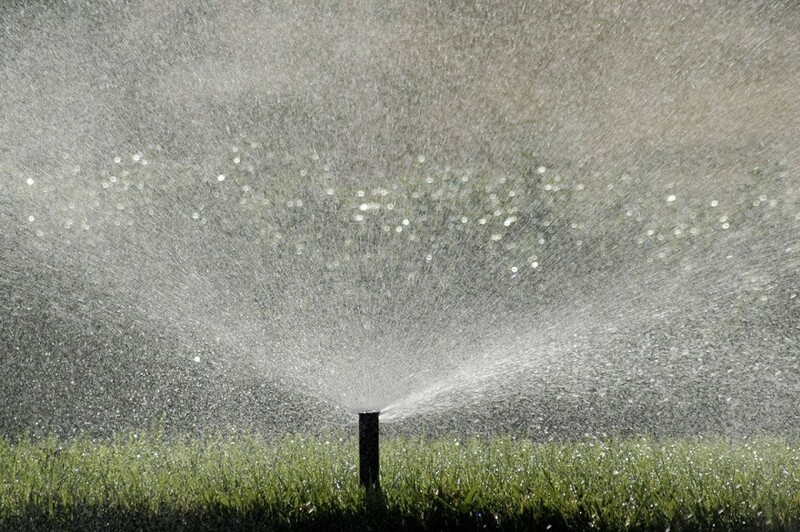 In fact, it would be difficult not to notice donut patterns and brown spots in the grass, ponding water, misting and drifting that cause runoff flowing across sidewalks and driveways, and other such problems caused by a faulty or malfunctioning sprinkler head. Accumulation of dirt. Automatic sprinkler systems for residential properties use sleeves buried in the ground to house sprinkler heads that come up when the water is turned on. Regular use of the sprinkler system can cause dirt and mud to infiltrate the holes of the sprinkler head, causing it to not work properly. Debris in screens. Debris can build up in the sprinkler heads’ screens that are meant to keep mud and dirt out of the nozzle, preventing proper water flow. Debris in nozzle and sprinkler head. A sprinkler head can also become clogged when debris finds its way into the nozzle or directly into the spray head. Cleaning the nozzle will typically remove blockages, but if sand or dirt has infiltrated the sprinkler head, you may be required to replace the wiper seal or replace the head altogether. How to fix it: If a sprinkler head is only partially clogged, use a paper clip or a piece of stiff wire to clear the hole. For heads that are completely blocked, you need to remove them from the sleeve, take them apart, soak them in water, and clean with wire. At the end, flush the head with running water. Make sure also to clear the sleeve and remove debris before replacing the head. High or fluctuating water pressure can cause spray heads to mist or fog, which may result in areas not getting proper coverage and potential damage to the lawn irrigation system. 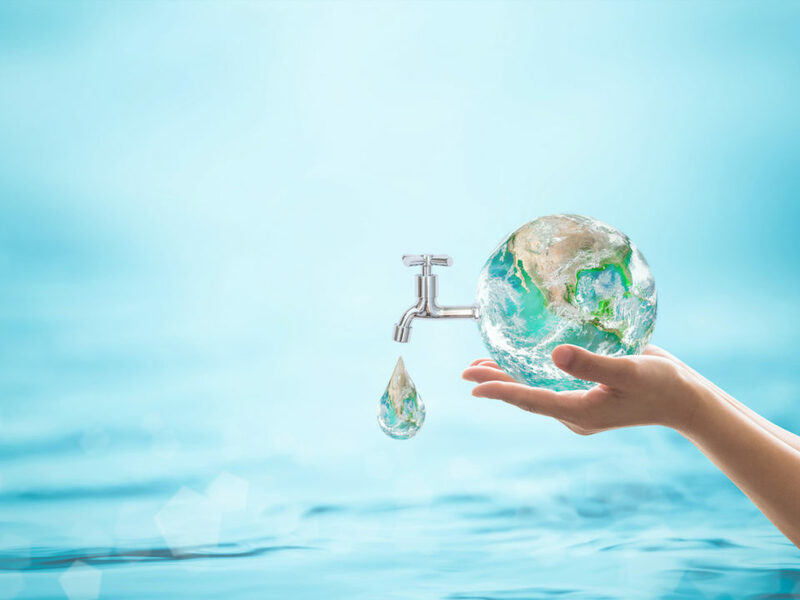 How to fix it: If only one zone is misting, you may solve the problem by decreasing the flow control at the valve or contact an irrigation professional to install a valve pressure regulator. You can also control excessive pressure at the point of distribution by switching to spray heads and rotors that feature a pressure regulating stem. Sprinkler leaks often happen when incorrectly installed sprinkler heads, which are sometimes referred to as “mower bait” by lawn-care professionals, are caught under a lawn mower and partially or entirely destroyed. Normal wear and tear will also eventually damage the wiper seal of the sprinkler head, resulting in leaks around the stem of the spray head. However, leaks in your sprinkler system are not only the result of faulty sprinkler heads; they can also be caused by improper installation, freeze damage during winter, or damage due to mowing, digging, and other landscaping activities. A faulty valve box is also a potential culprit. How to fix it: A quick fix to this problem is to step down lightly on the stem while the irrigation system is operating. This has the purpose of causing water to flush quickly between the stem and the cap, thus dislodging any debris that might be caught between the wiper seal and stem. If this solution doesn’t fix the problem, you may have to replace the cap. It is not uncommon for heads to settle or tilt over time due to the weight of lawn mowers and other landscaping equipment on wet soil, as well as natural compaction of the soil and foot traffic, resulting in uneven distribution of water, brown spots, misting, and runoff. Grass clippings, dirt, and debris can also build up around heads and disrupt the spray pattern. How to fix it: To repair tilted and sunken heads and correct the spray pattern, all you need to do is manually lift and straighten the head by packing soil around it until it is level with the ground. When you put the sod pieces back in place, make sure to water them in order to encourage reestablishment. 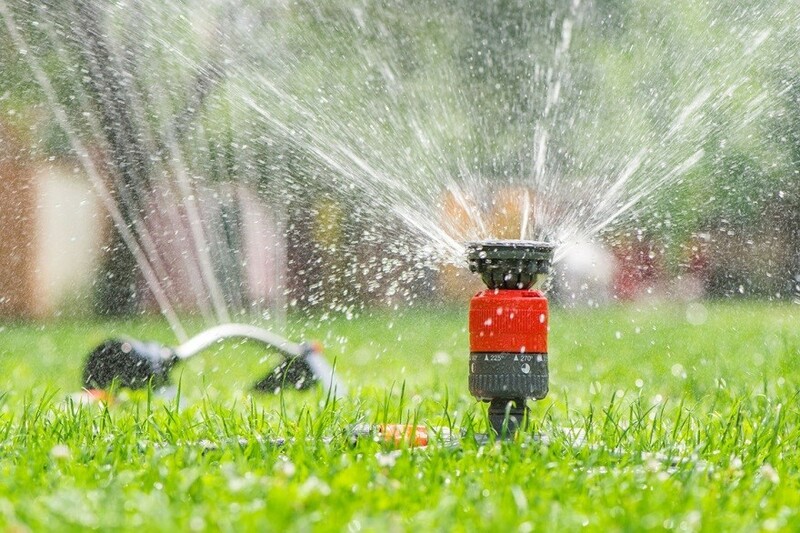 While repairing some of these issues may come relatively easy to homeowners who are familiarized with their lawn irrigation system, other problems may require the help of a landscaping professional who specializes in irrigation maintenance and repairs. 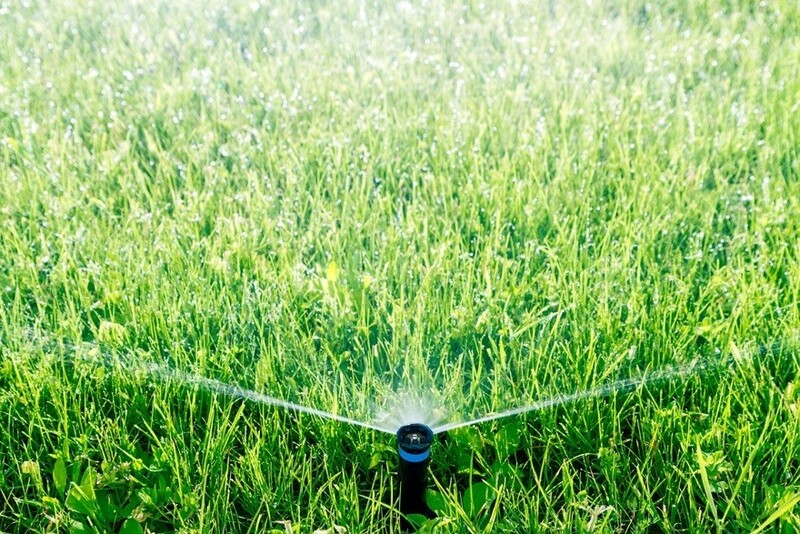 Your best bet is to talk to a licensed lawn irrigation contractor in your area to see what causes the sprinkler head issues you’re facing and how to fix them with minimum costs for you and the environment.